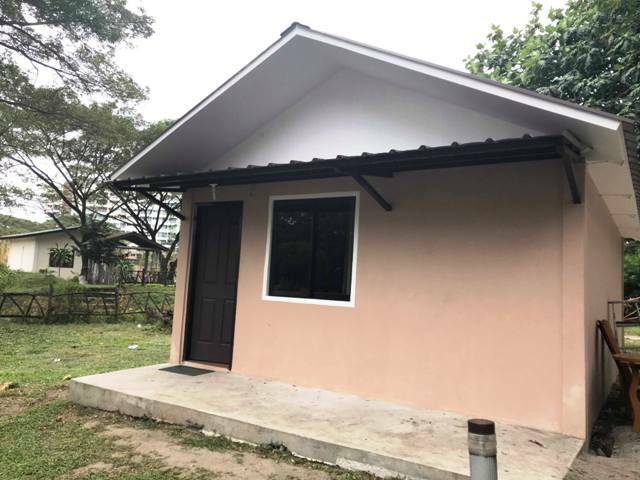 Deluxe Family Cottage is ideal for families as well as guests looking for long-stay accommodation for vacation and long holidays. 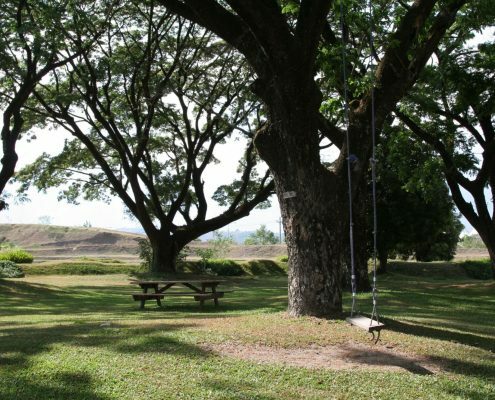 This resort in Pampanga offer beautiful outdoor picnic grounds that can be used for prenuptial pictorial and wedding photography. Wedding pictures can be taken in one of the beautiful resorts near Manila for a wedding album. Special packages and discount offerings for wedding photography, prenuptial pictorial and other photo-shoot are available at this popular wedding venue in Pampanga. 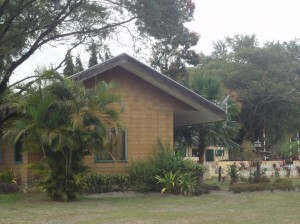 In fact, Clearwater Resort is one of the best resorts in Pampanga that is lauded for its good outdoor garden wedding reception venues. 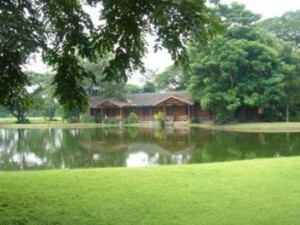 Visitors to Clark and Angeles City Pampanga seldom pass up the opportunity to relax and unwind by the lake of this popular resort in Pampanga. 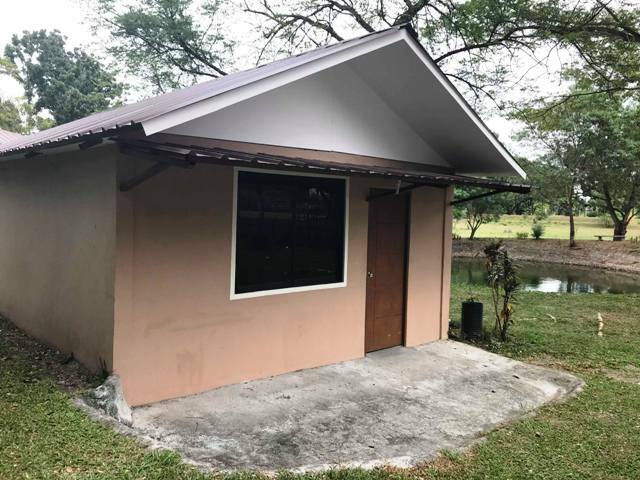 Family Cabins at Clearwater Resort are compact villas designed for groups and families preferring to stay together under one roof. Located in the middle section of Clearwater Resort, between the lake and the Brunello Picnic and Camping grounds, these villas cabins offer a good sense of privacy. Trees provide excellent shading from the afternoon sun keeping the ambient temperature pleasant throughout the day. 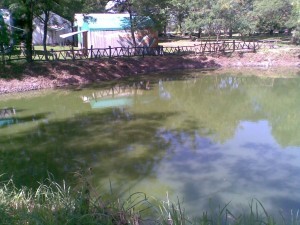 The fishing pond is located just meters away, something that might be of interest to those who enjoy a bit of casual (easy) fishing. The white-sand beach which comes with the swimming lagoon and a small pool is also a stone’s throw away. 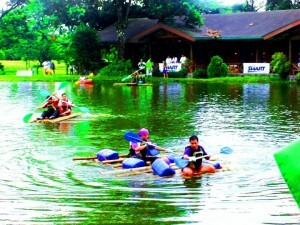 From there guests can enter the lake of Clearwater Resort with a rowboat or a kayak. There is quite a bit of garden space outside each cabin. (Outdoor furniture is not provided.) Breakfasts are served at the Clearwater Resort Café located next to the reception office near the main entrance. Room service, regrettably, is not available. The café does offer indoor and alfresco dining. Resort policy does not allow vehicles to enter the property where guests, especially children and the elderlies feel free to roam around on foot or bike without having to deal with motorized traffic. WIFI signals are still poor in many areas of Clark Freeport and in this resort, it is patchy at best. But most guests are equipped with their own 3G and 4G devices these days. Note that this is for regular tents. 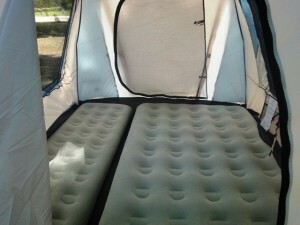 For large tents, please call in for the latest charges. 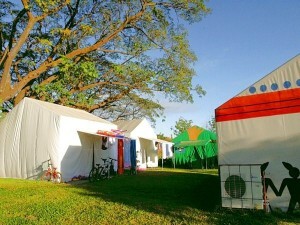 The Camping Grounds of this resort in Clark are located in the Brunello Gardens which is situated at the rear half of the resort. Tents are pitched along the side of the hill lining one end of the garden. 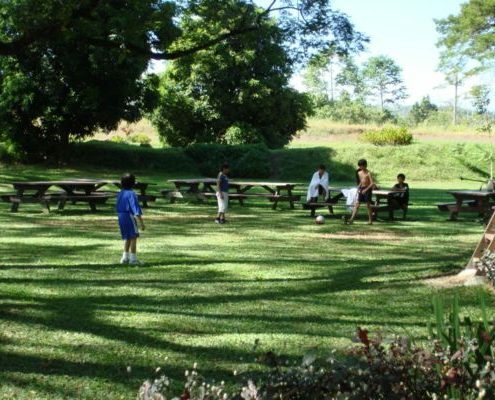 One of the attractive features that made the Brunello Camping Grounds of this resort a much sought-after venue for family camping as well as for corporate and social camping events are the large Acacia trees throughout the gardens, giving some welcome shading for campers during the day. 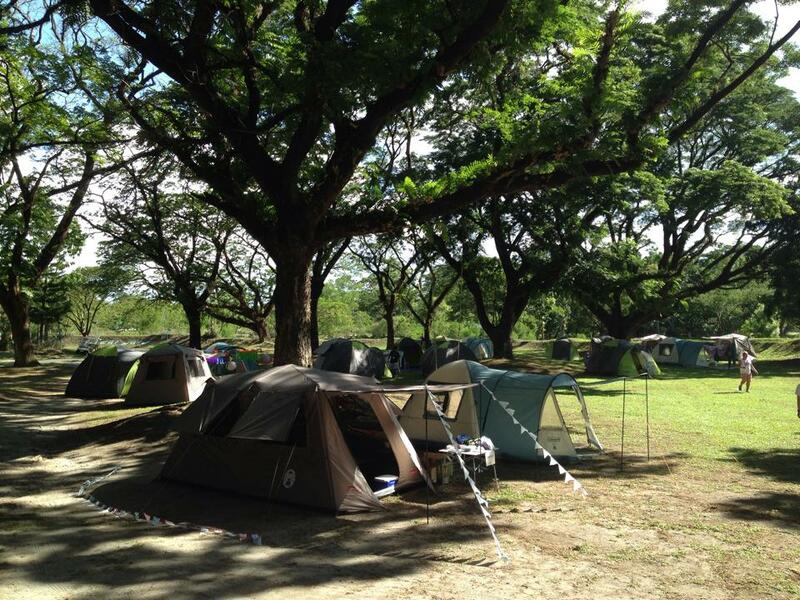 Camping is gaining traction among corporate and social event organizers in Manila. As Manila residents continue to look for new and better ways to get out the chaos and stress of living and working in the city, teambuilding facilitators and event organizers scramble to find venues and facilities that will satisfy their clients’ appetite for being closer to nature. 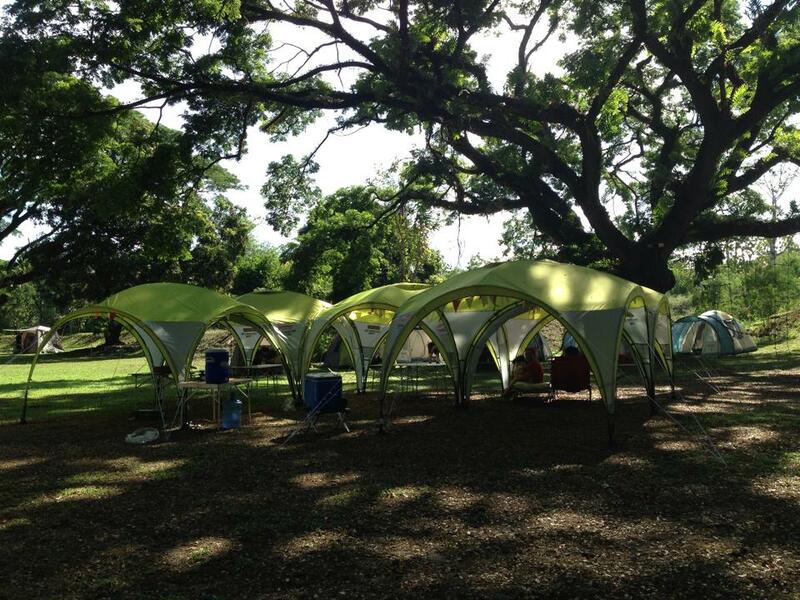 Clearwater Resort is a preferred venue for group camping. The Brunello Gardens camping grounds can accommodate well over 1500 campers without leaving any person feeling cramped at all. There are two bathroom facilities and some outdoor showers. 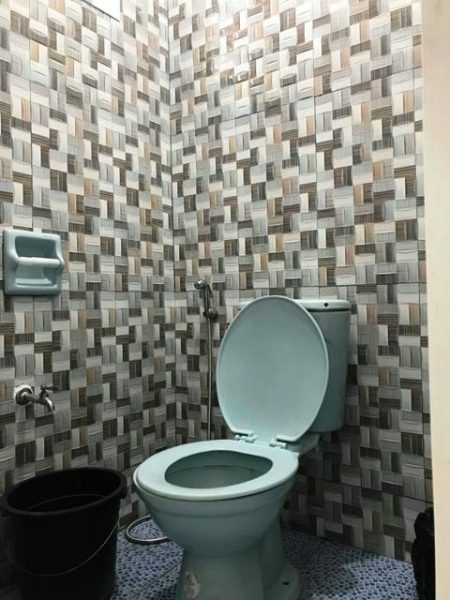 Access to the shower house is also available for a fee. If camping is something that fits the interest of participants in an upcoming teambuilding or company outing event, then pick up the phone and call us for some assistance in putting all the details together. Campers are expected to bring their own tents and camping gear. 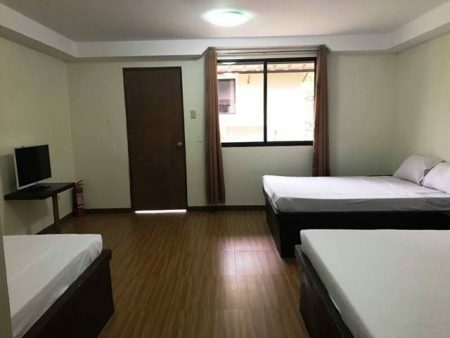 There is a small number of camping equipment that guests can rent from the resort, from various kinds and sizes of tents to air beds and pillows. Food can be ordered in advance and prepared for cooking, if a BBQ cookout is in the camping agenda. Just up the side of the hill is a special campfire ground designed for camper to enjoy that time-honored tradition of a camp fire. It has indeed been proven time and again that a little singing, (horror) storytelling and dancing perhaps, does wonders in terms of bonding and fostering of teambuilding spirits. In the center of the campfire ground is a bonfire pit. Logs for bonfire can be ordered in advance. 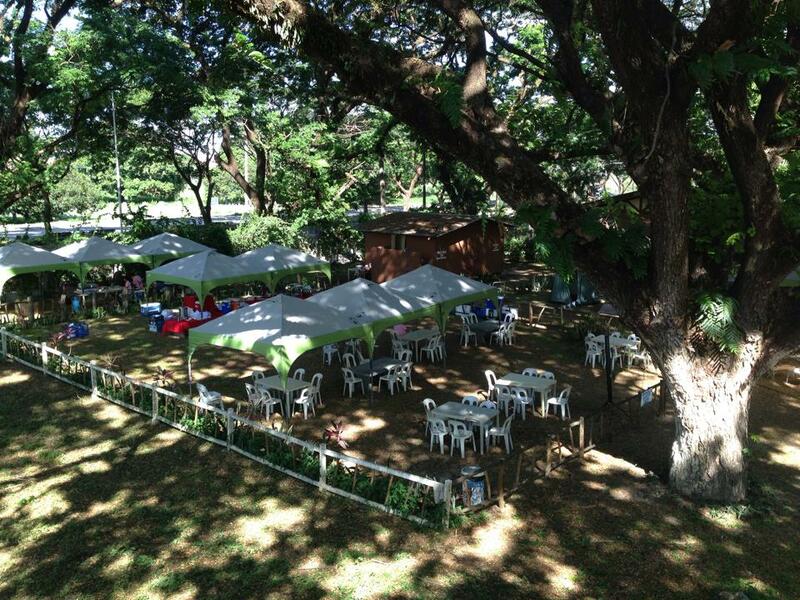 The Campfire ground is an event venue which can be rented for private functions and events. 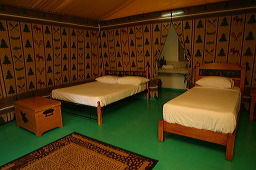 The OUTBACK Tent Room is located at the middle section of Clearwater Resort, nestled besides the Family Cabins and the Bunk Cottages. 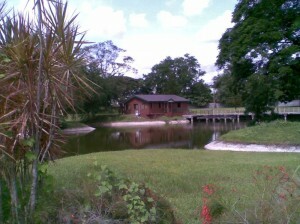 It sits next to the quiet fishing pond where many families have enjoyed a relaxing morning or afternoon catching a bundle of fish. 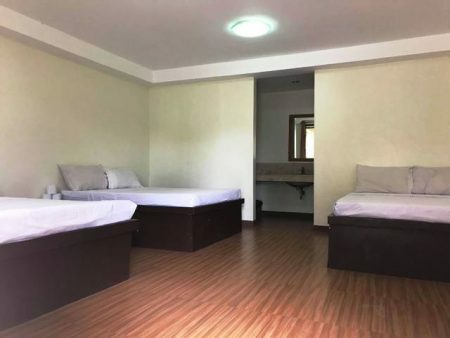 These rooms are particularly popular among family visitors preferring some semblance of camping but not particularly keen to rough it out in a real camping tent. 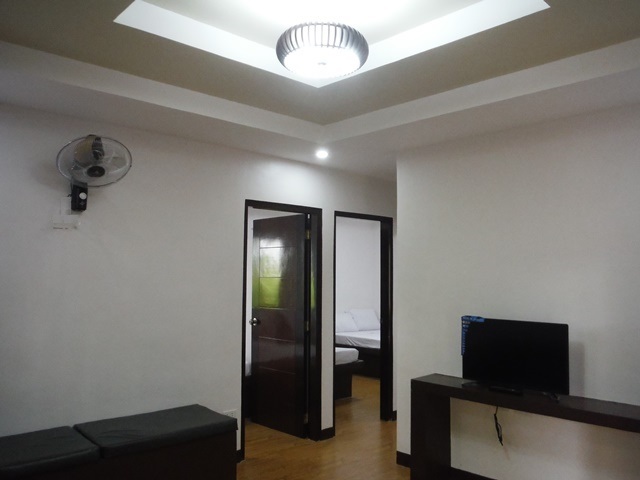 The rooms are not luxurious but they are spacious and retain the simple feel of nature. 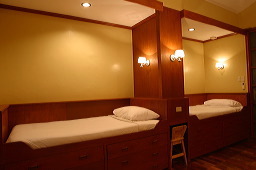 All rooms are configured with two queen-size beds. Visitors should note that its location means a bit of a walk from the main entrance (or the rear exit) of Clearwater Resort. Vehicles are not permitted to enter the resort, for safety and other reasons. 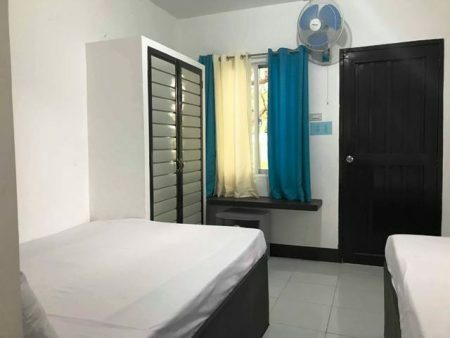 Those who are not keen for a short stroll of say, 300 meters, might opt for other room types such as the Patio Cottages, the Lakehouse Cabins or the Family Inn. 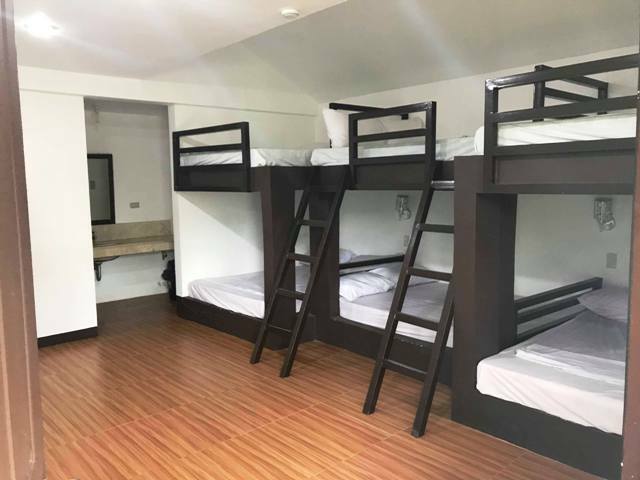 There are two types of rooms in the Lakeside Lodge, one equipped with the standard two queen-size beds and the other one which is quite popular among families with children, a bunk room which double decker beds. 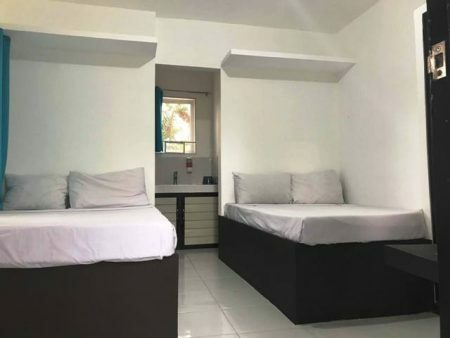 The rates of these rooms are the same and sorry, the bunk rooms cannot be reconfigured into a twin-bed setup. 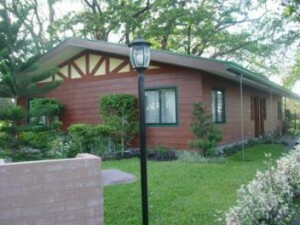 The Family Inn cluster of cabins is located at the rear exit of Clearwater Resort. 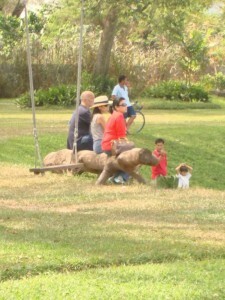 It is part of the Brunello Gardens picnic and camping grounds, a spacious garden shaded by large old Acacia trees. These rooms are particularly popular among family visitors preferring peace and quiet. The rooms are not luxurious but they retain the simple feel of nature. All rooms are configured with two queen-size beds. Visitors should note that its location means a bit of a walk to the water features – lake, beach and swim spots of Clearwater Resort. However guests arriving in their own vehicles and obtain a special pass to enter and park at the rear entrance of the resort. 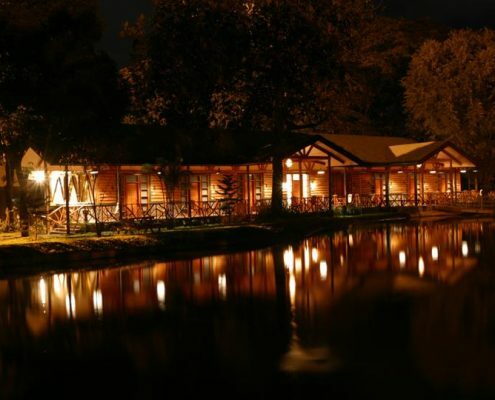 The Lakeside Lodge is a row of eight rooms with a front porch at the edge of the resort’s lake. 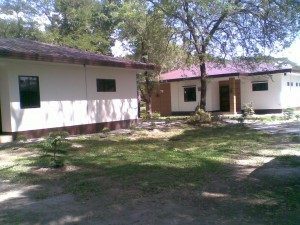 Located in the middle between the lake and the picnic garden portions of the resort, it is both convenient and secluded at the same time. 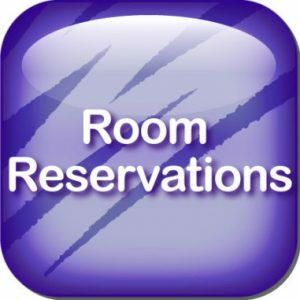 This is one of the most popular room types for family and individual visitors looking to spend just a day or two, or weeks and months in Clearwater Resort. The rooms are not luxurious but they retain the simple feel of nature. Visitors should note that its central location means a bit of a walk from either the front main entrance or the rear gate of Clearwater Resort. 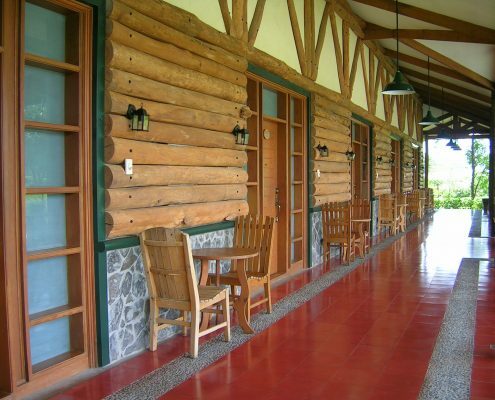 Although guests of the resort are usually keen to enjoy a relaxing stroll when they spend time in the outdoors of this resort, those who not comfortable with walking (about 250 meters) might opt for other rooms in more accessible locations such as the Family Inn, Patio Cottages or the Lakehouse Cabins. 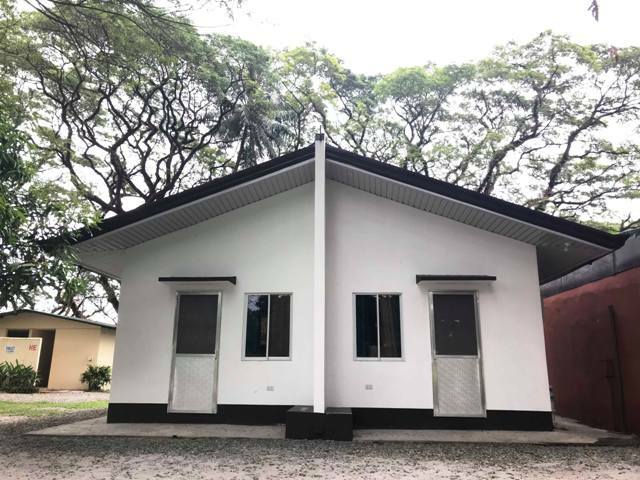 Bunk Cottages are tugged into the middle portion of Clearwater Resort, offering unparalleled serenity, ideal for family bonding and visitors looking for some peace and quiet time. That said, the fishing pond is just a stone’s throw away and the kayaks are also a short 50m distance the other direction.